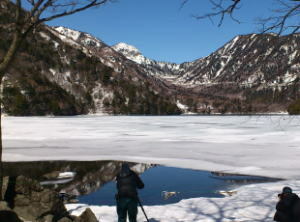 Japanese sunlight sightseeing .world heritage. 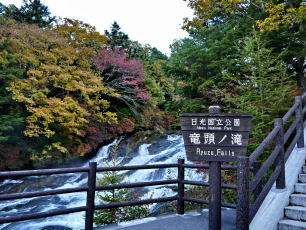 Information on Kegon-no-taki Falls and its surroundings/World heritage. 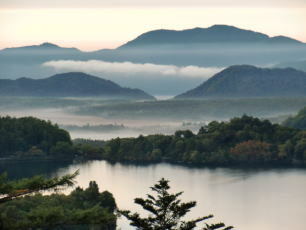 *Changes by seaon and weathr. 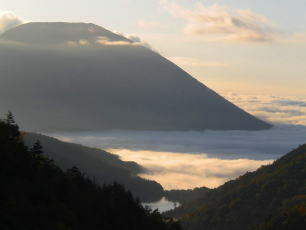 Nikko National park is one of 29 national parks in Japan. 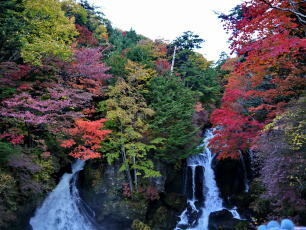 What you should see is the most famous waterfall in Japan "kegon-no-taki falls". 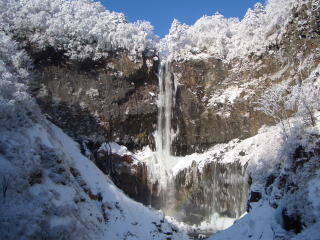 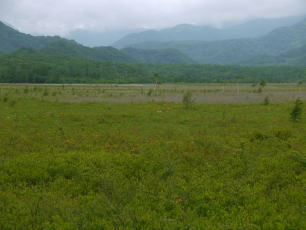 You can see many world heritage near the waterfall. 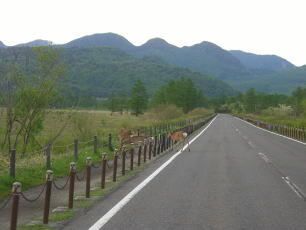 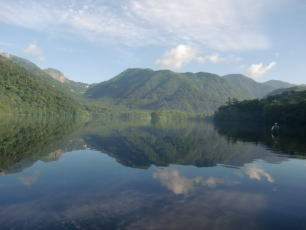 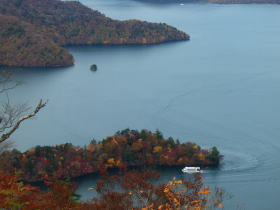 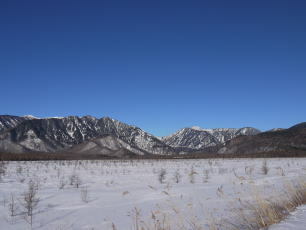 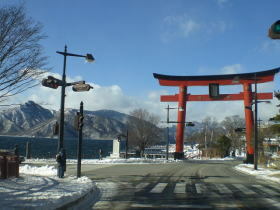 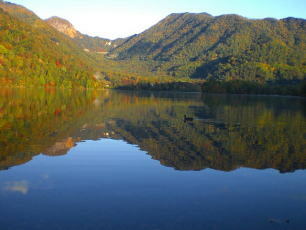 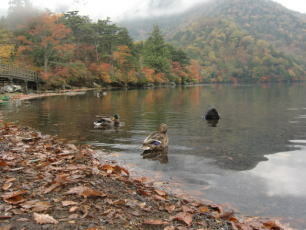 Nikko National park locates in the middle of Japan, you easily access from Tokyo. 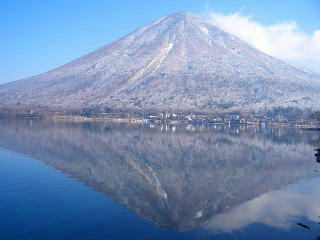 *Adult is more than junior high school student. 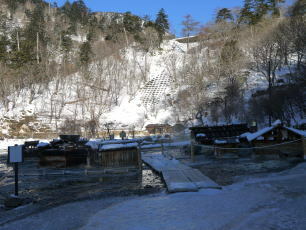 It arrives in 1 minute down to 100m in a bedrock elevator. 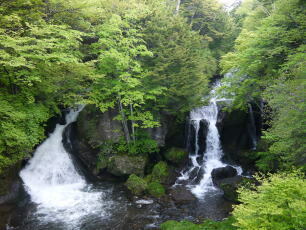 And you can see the great basin of a waterfall. 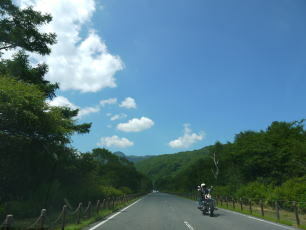 which cleared up with this sufficient season. 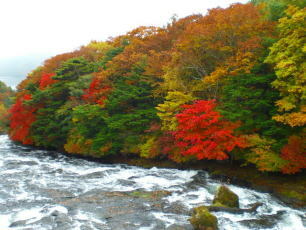 Autumnal leaves became best time to see and around the waterfall also became the most beautiful season. 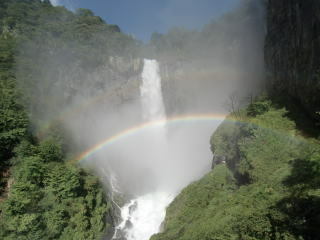 The refreshing breeze around a waterfall with an altitude of 1274m makes forget the heat of midsummer. 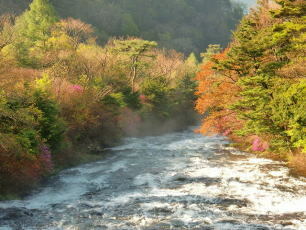 You can see "Iwatsubame" ( local rock swallow ) which flies inside of skillful fresh green and an exciting waterfall. 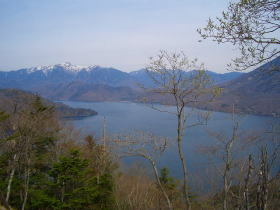 And then, the water of Chuzenji lake fell from the huge rock face and the Kegon waterfall was born. 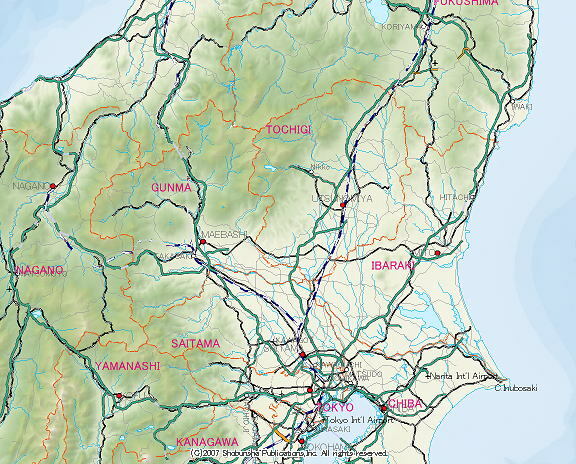 15000 years ago, the lava which flowed out by the eruption of Mt. 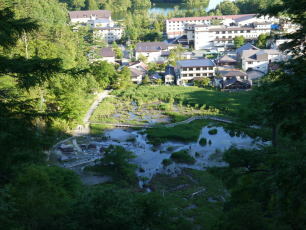 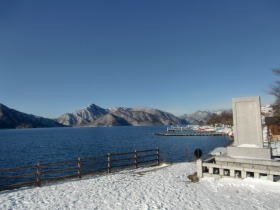 Nantai dammed up the river and Chuzenji lake was made. 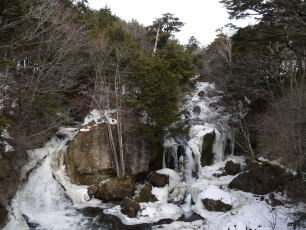 Kegon Waterfall in the snow scene is wonderful, too.